ELECTRIC AVENUE is the heart of Downtown. Leave your car in the secure underground parking & walk to everything Downtown has to offer. 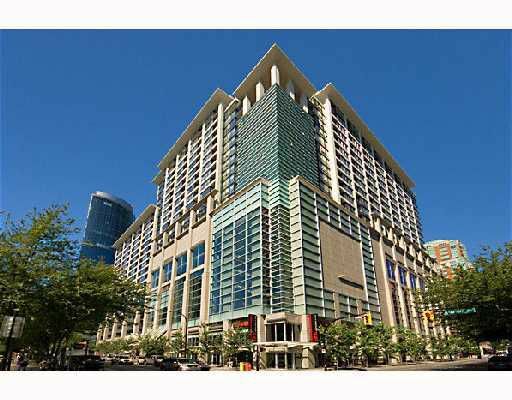 This unit shares a building with the Scotia Bank Theatres, Starbucks & Earls, Azia & Lombardo's restaurants. That's just at the bottom of the elevator. The SUITE is perched on the SW corner of the 8th floor & offers one of the better floor plans for city living. Large bedrooms & a bright open kitchen & living area make the unit seem bigger than it is. Dark cabinetry, black Whirlpool appliances, granite counters, huge balcony, good size den or insuite storage & insuite laundry add to this units appeal. Come check out this pet/rental friendly suite today. Open Sat Jan 31st, 1-3 pm.